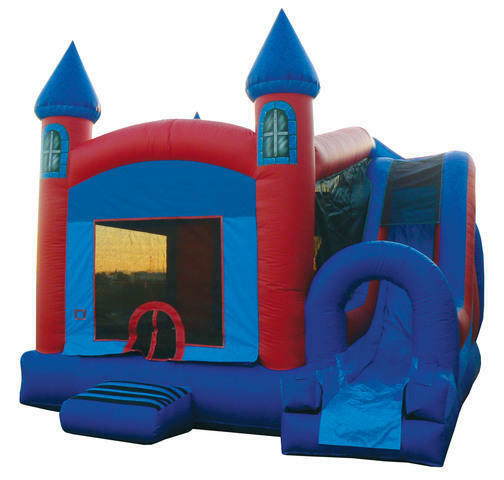 The kids will love this castle combo unit with large bouncing area, a climb feature, and 13' slide which is lots of fun even for the bigger kids. This bouncer slide combo with basketball hoop inside can be set up indoor or out. With cool colors this combo will give boys or girls of all ages lots of fun at your summer party or school event. This unit is manufactured in the USA.